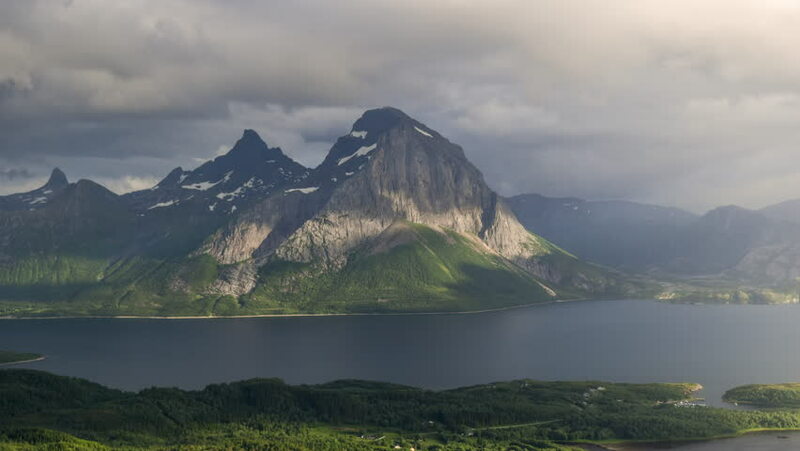 Timelapse of a huge mountain in a fjord in Northern Norway. hd00:17Time lapse-Sky and clouds over the mountain during sunrise. Loei Province, Thailand. 4k00:22Aerial view of Sea to Sky Highway with Chief Mountain in the background during a sunny day. Taken near Squamish, North of Vancouver, British Columbia, Canada. 4k00:30Static wide high angle shot during a sunny day in spring of the town Buochs and highway 2 in Switzerland under the Alp Buochserhorn shoring Lake Lucerne, with mountain BÃ¼rgenstÃ¶ck in the background.